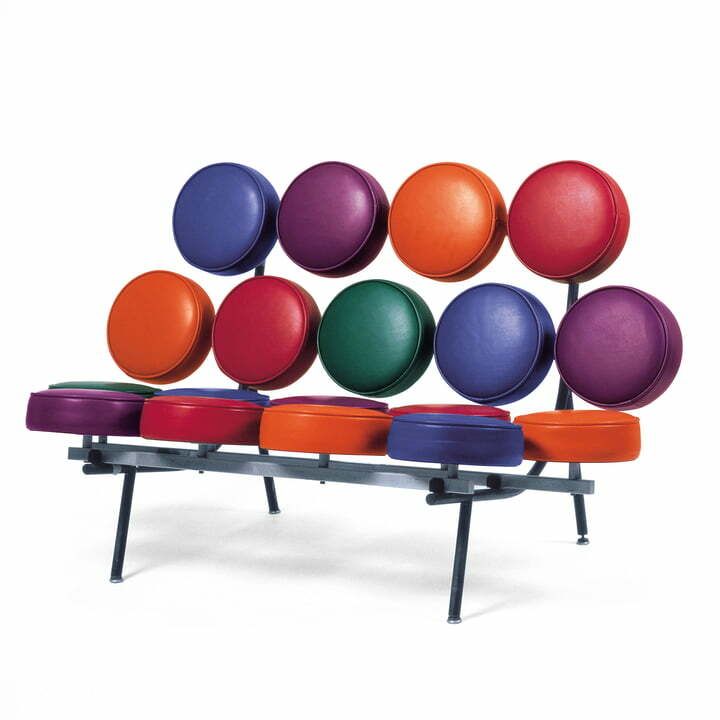 The Marshmallow Sofa by George Nelson can be considered as one of the first pop art designs of the furniture design. 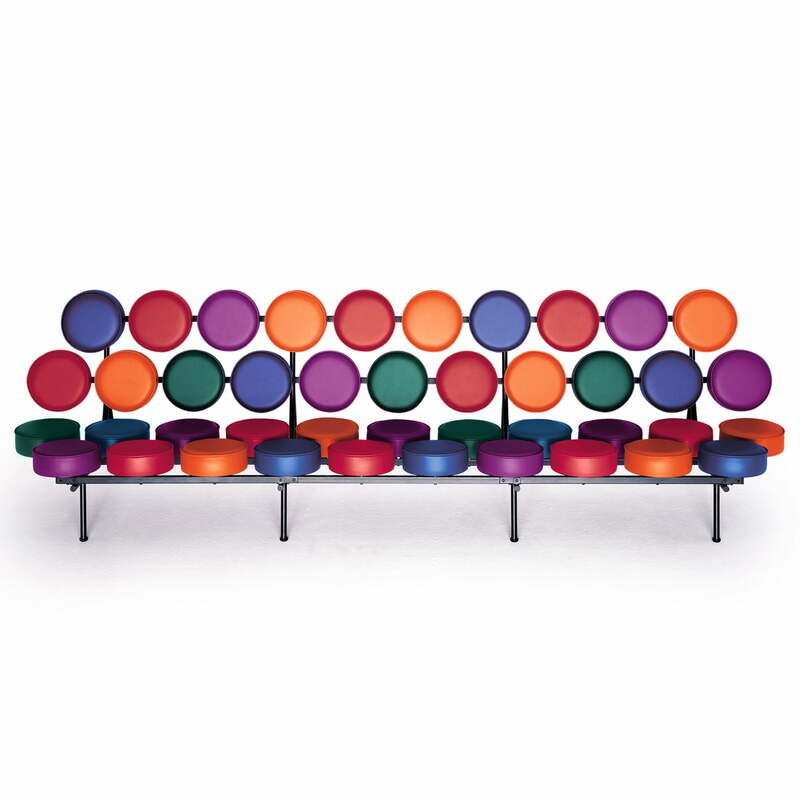 With the design of 1956 Nelson turned the traditional sofainto a three-dimensional report made of soft, colourful cushions. Every single cushion of seat and back rest lay symmetrical, like a waffle form, to the opposite to each other. It is supported by a simple steel structure. The, in the past, new system of the additive construction enables - not like usual sofas - a big colour, and form selection. But it had the consequence, that the production was really expensive because they were hand made. Besides that, because of its unusual design, the sofa did not fit into the contemporary interiors. For this reason, the production of the Marshmallow Sofa had to be closed in 1965. 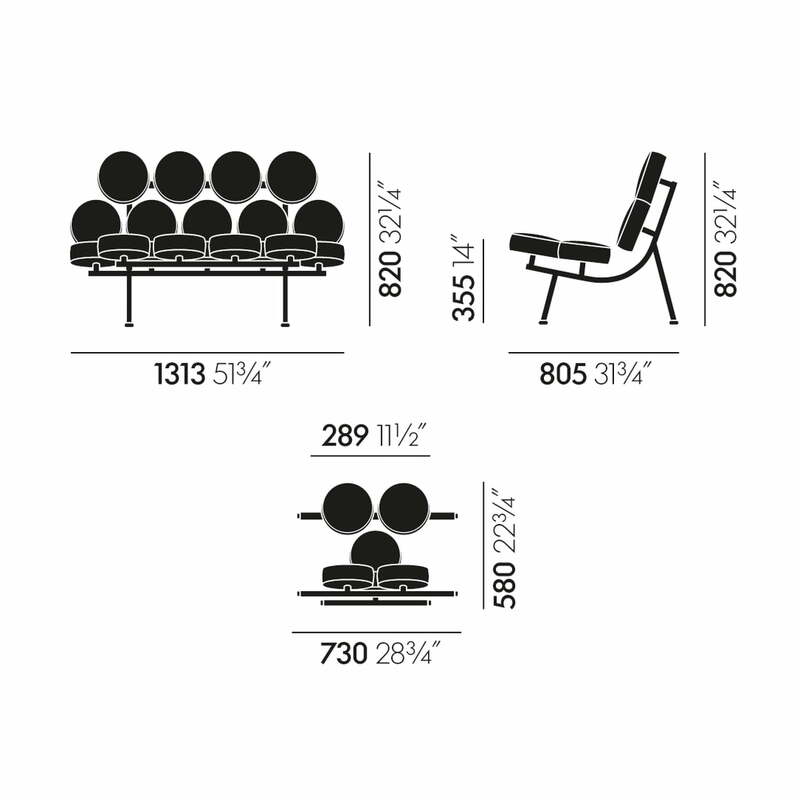 To the Marshmallow Sofa is also a extension element obtainable. Those come with six single cushions and can be put between two sofas, and it is expandable. 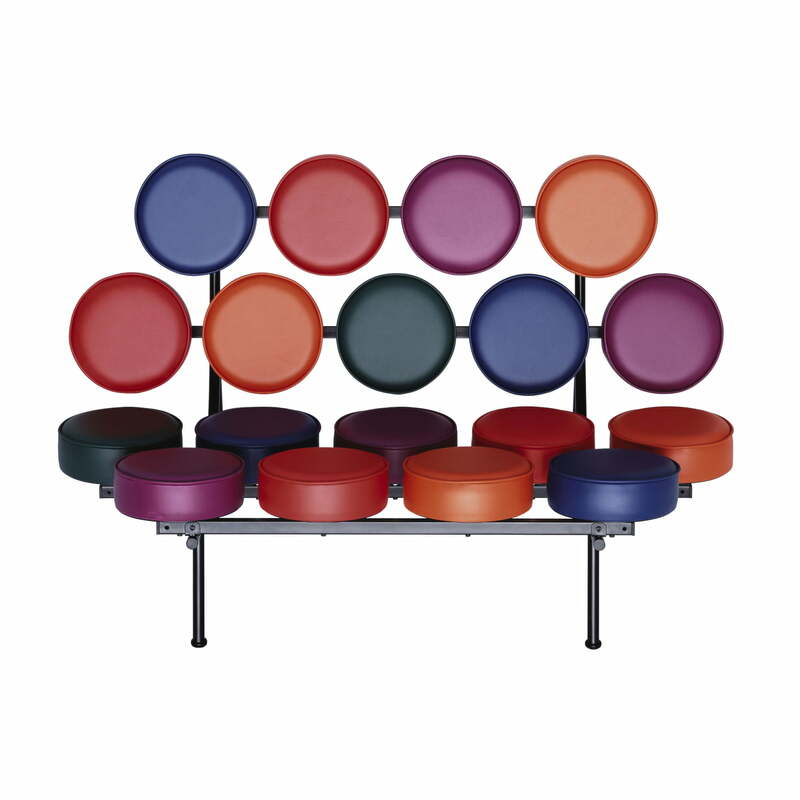 Material: 18 cushions in vinyl red, orange, green, purple and blue, frame: square tube, black.